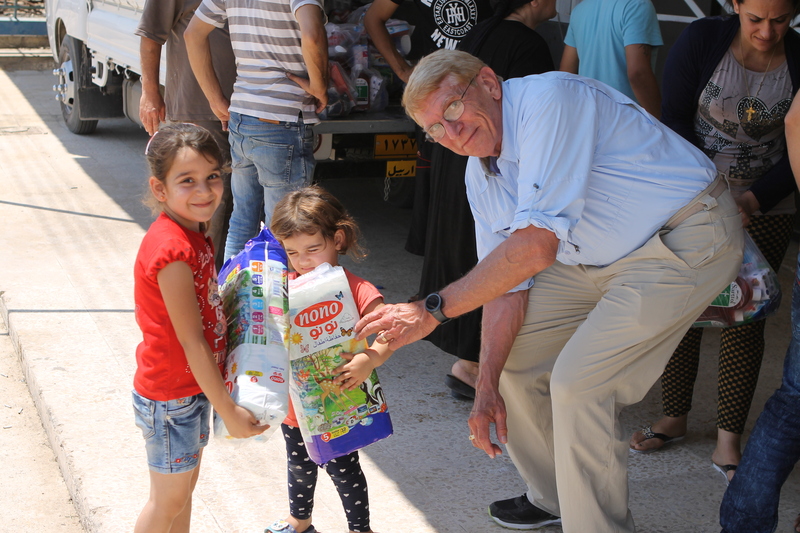 The Arabic says: “Christians and Christ men must be cut.” The term “Christ men” refers to preachers and priests, and the word used for “cut” clearly means beheading. 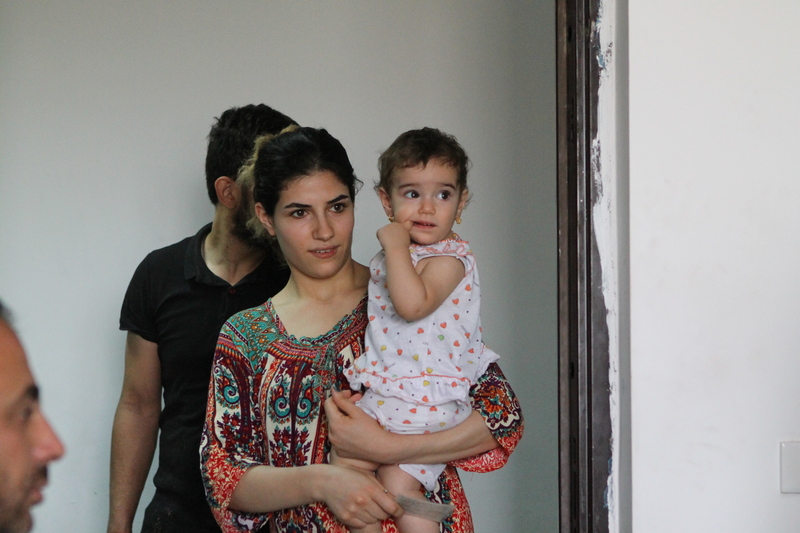 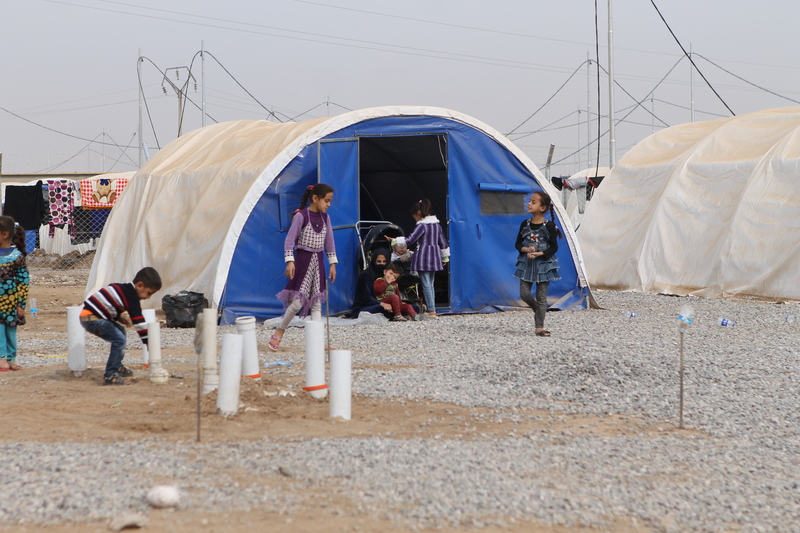 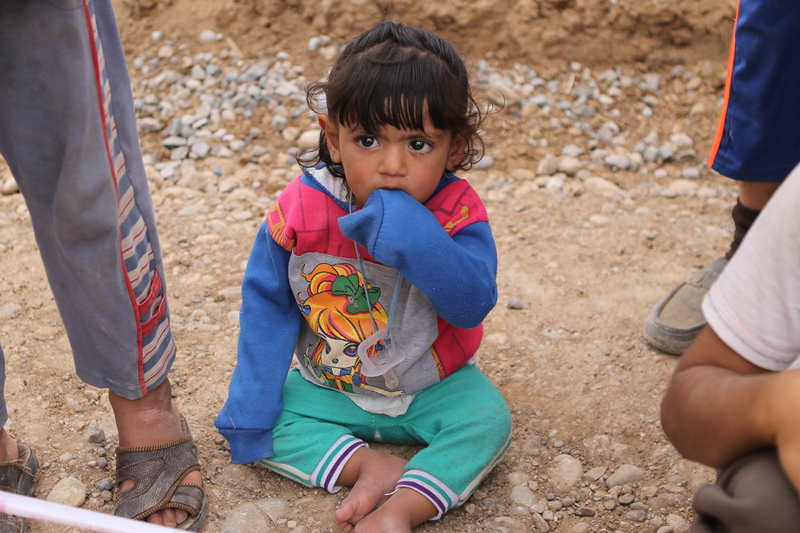 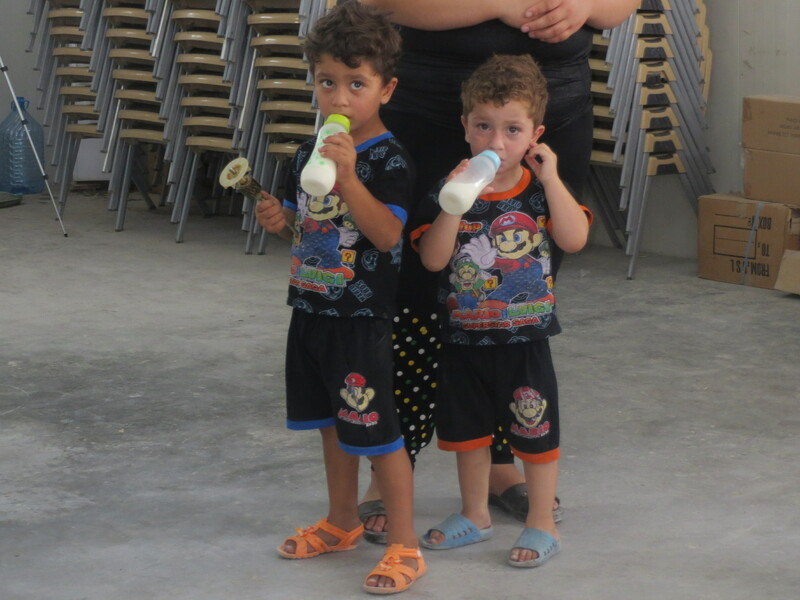 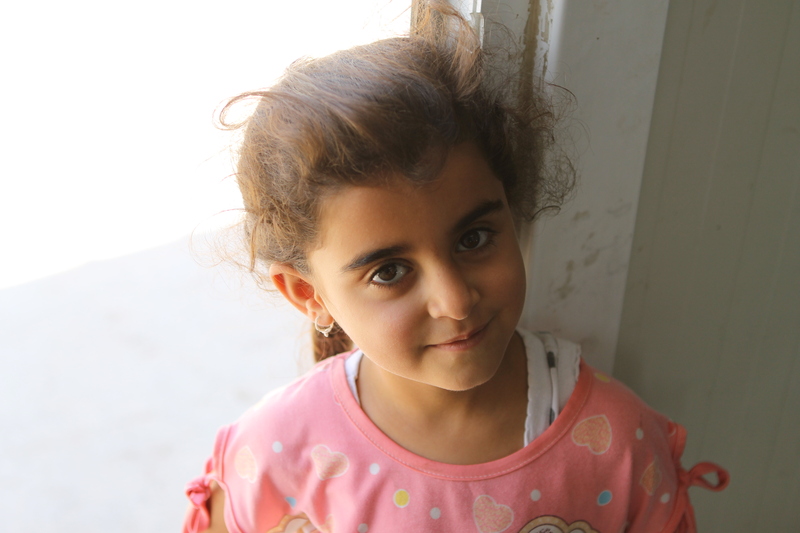 Christian families have been forced to flee their homes and live in make shift camps. 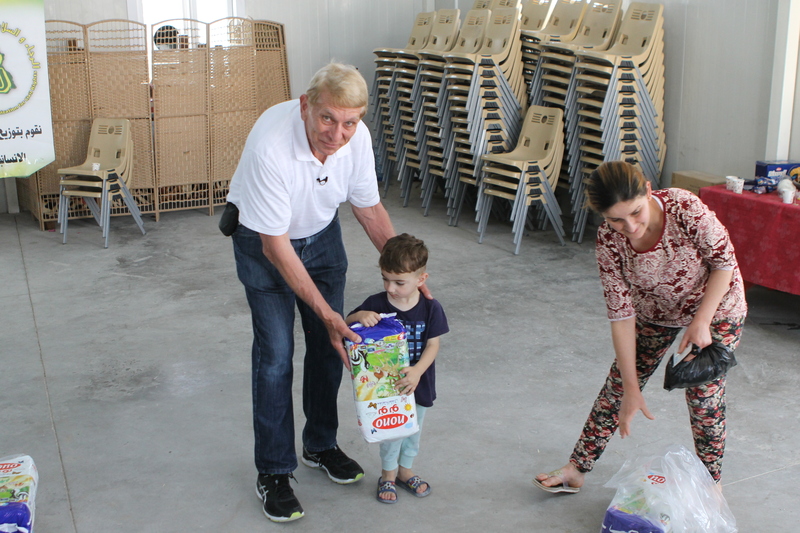 There have been some extra helpful volunteers this week at our diaper distribution sites! 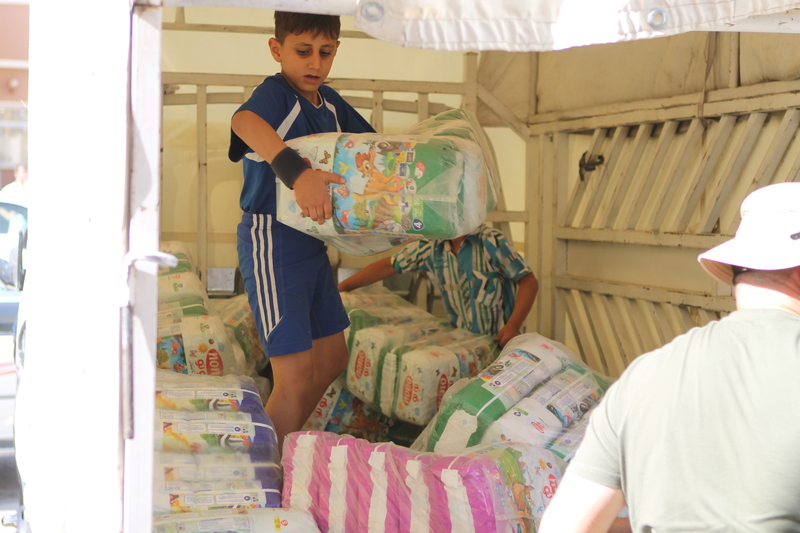 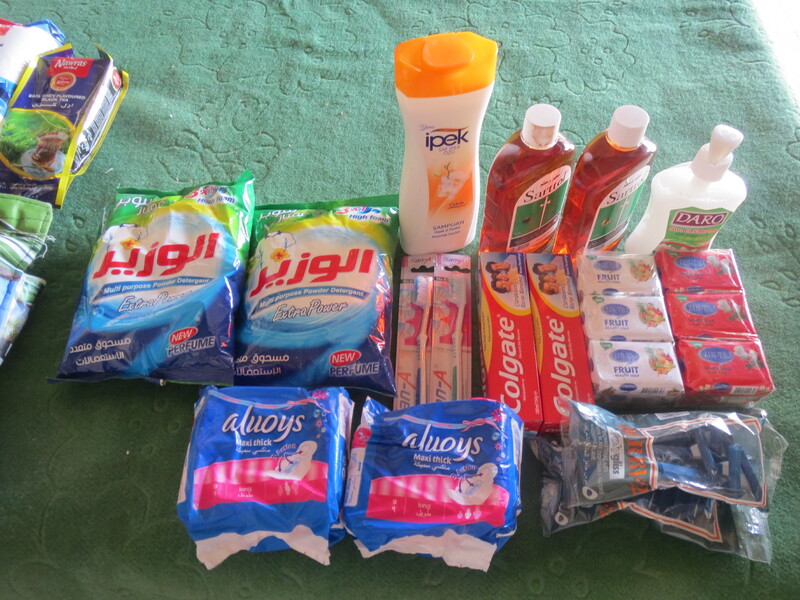 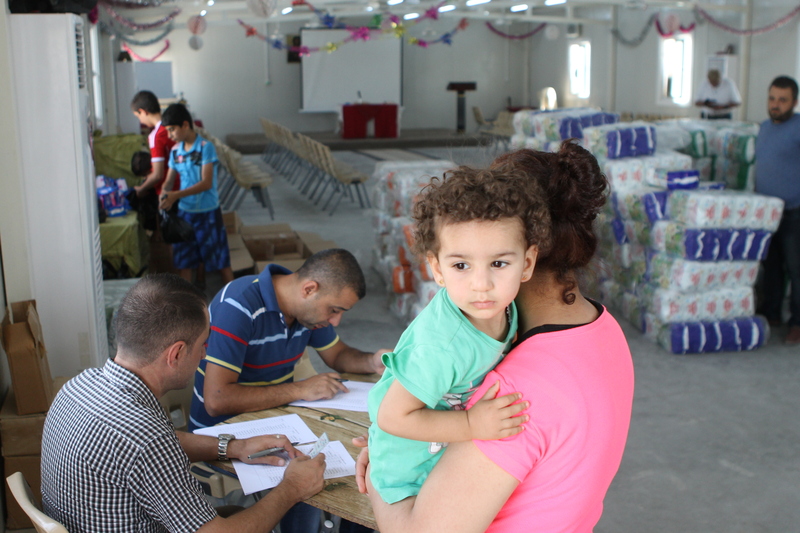 A list is prepared in advance of families needing diapers, from information obtained from the camp administrator. 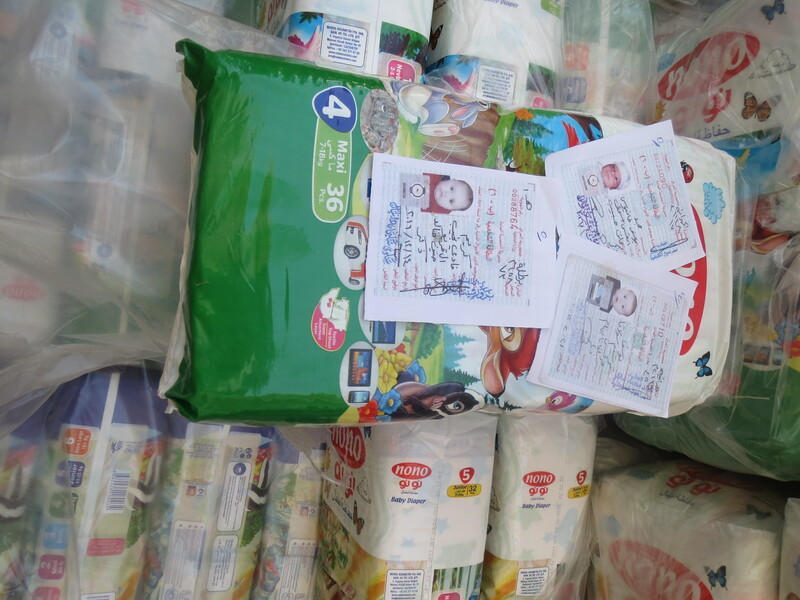 All family members who come on site to pick up the diapers must show their ID as well as the child’s ID. 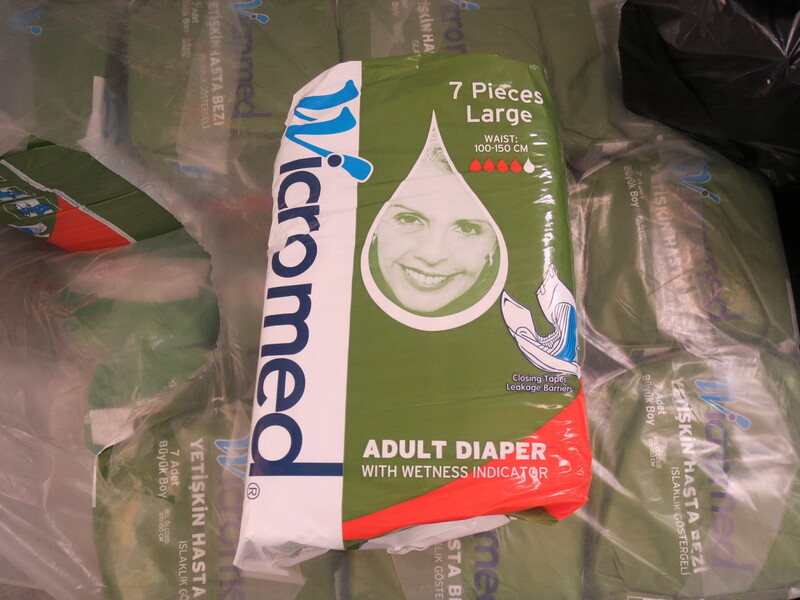 Over the past year sanitary pads for the mothers and adult diapers for special needs elderly have been added to the program. 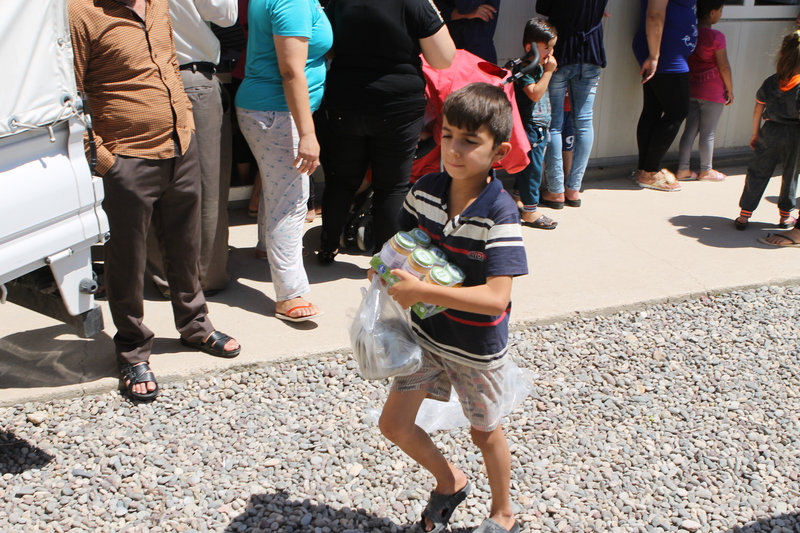 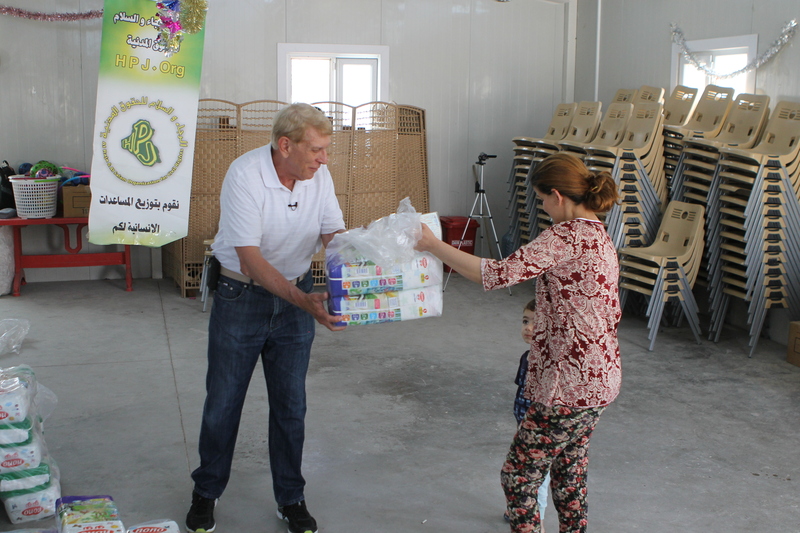 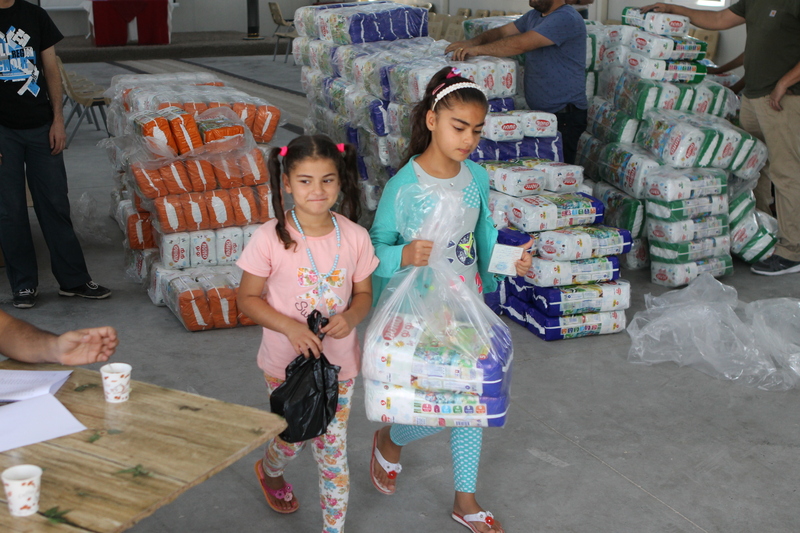 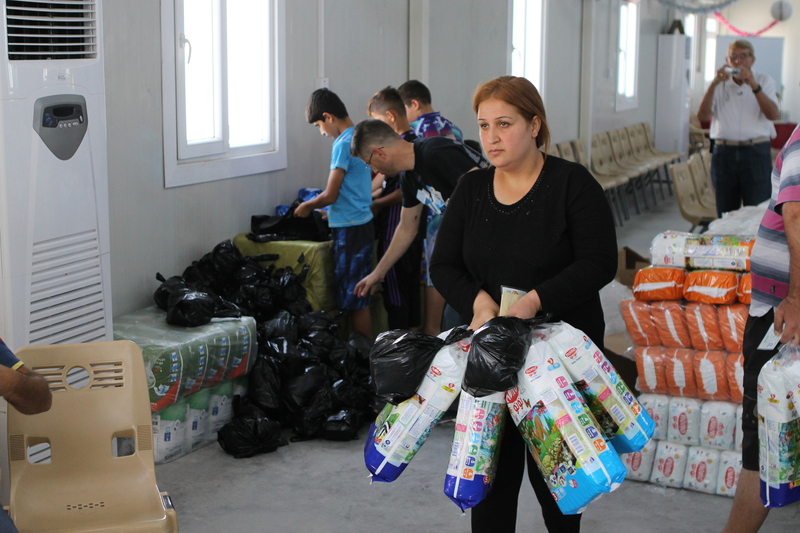 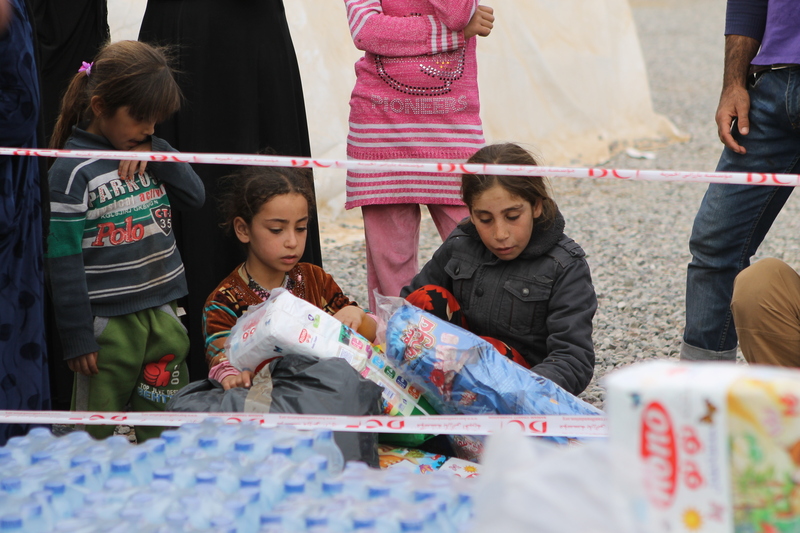 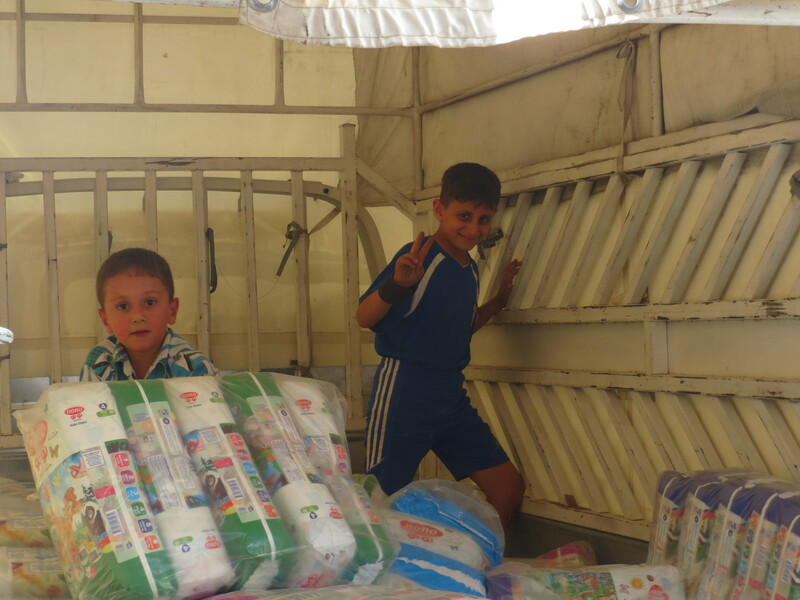 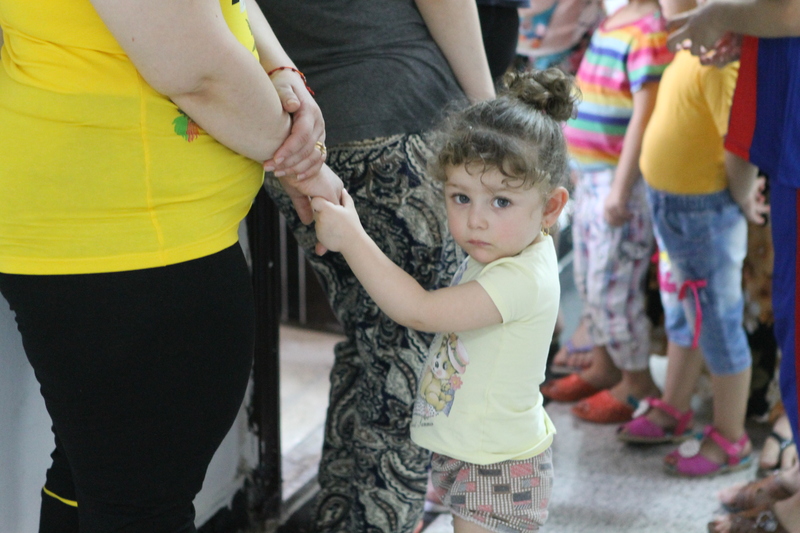 In Qaraqosh, all of the 200 families were given two large heavy plastic bags each – one filled with food items and one with hygiene items. 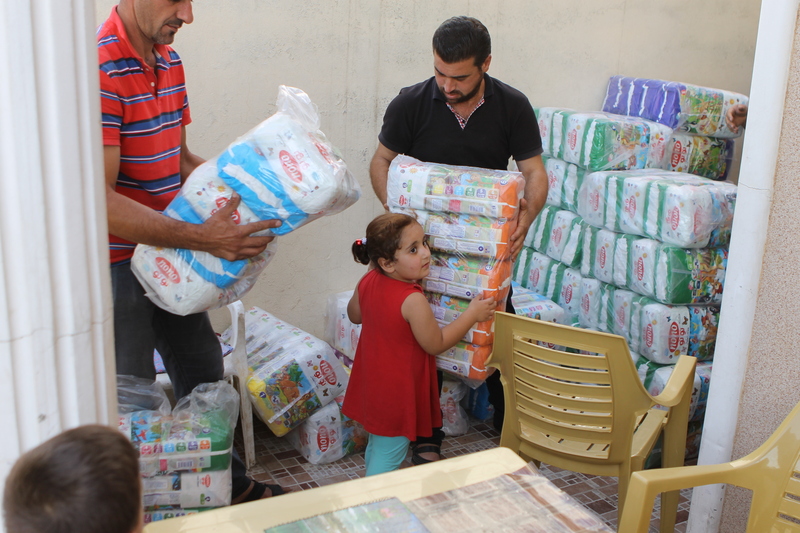 A donation of $11 provides 100 diapers to children in need. 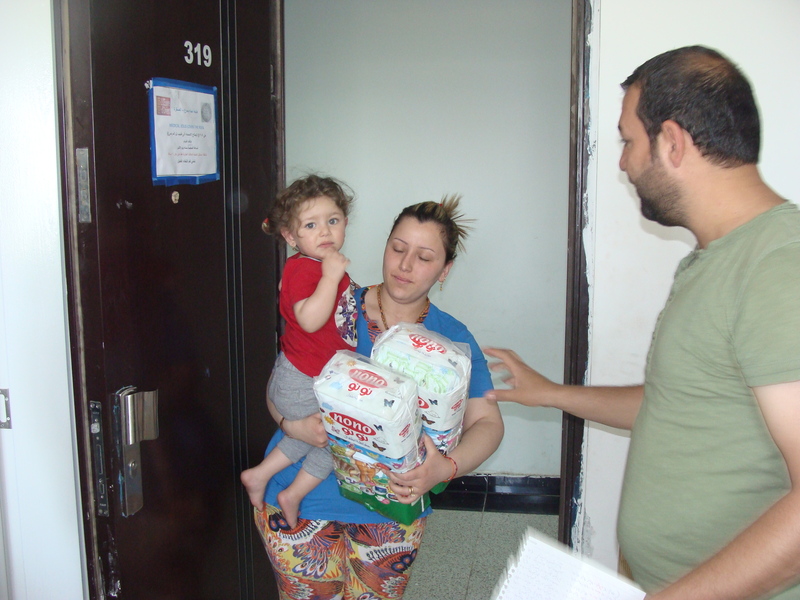 Our volunteer hands diapers to a mom. 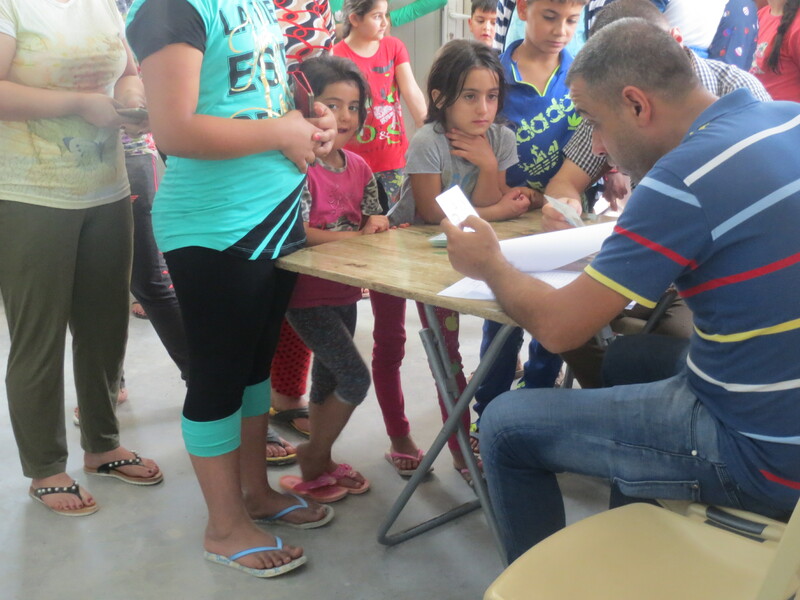 A family getting their ID checked. 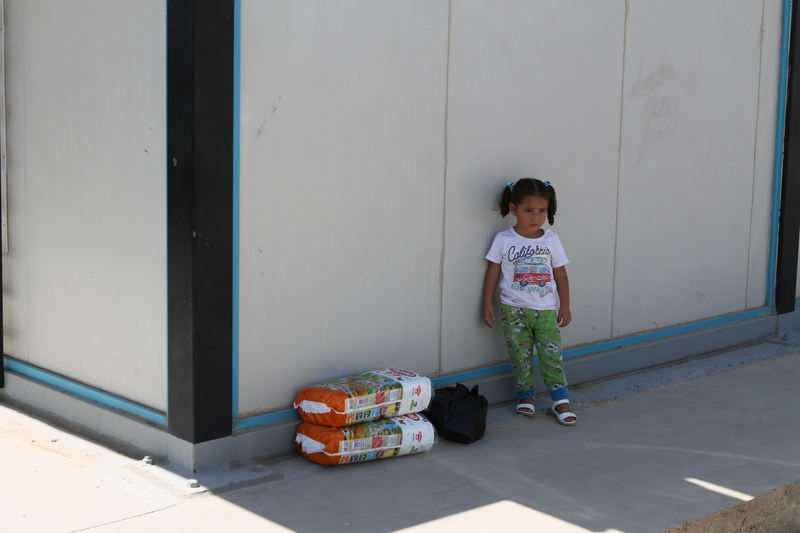 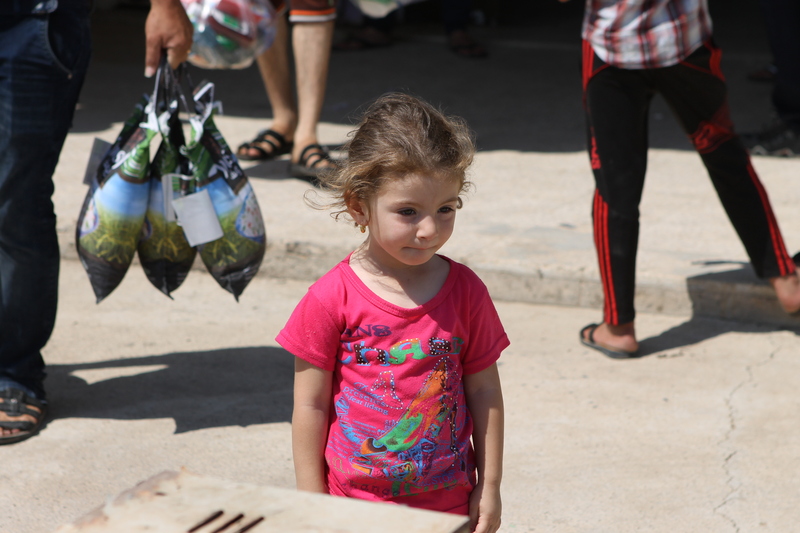 One child waits with her supply of diapers. 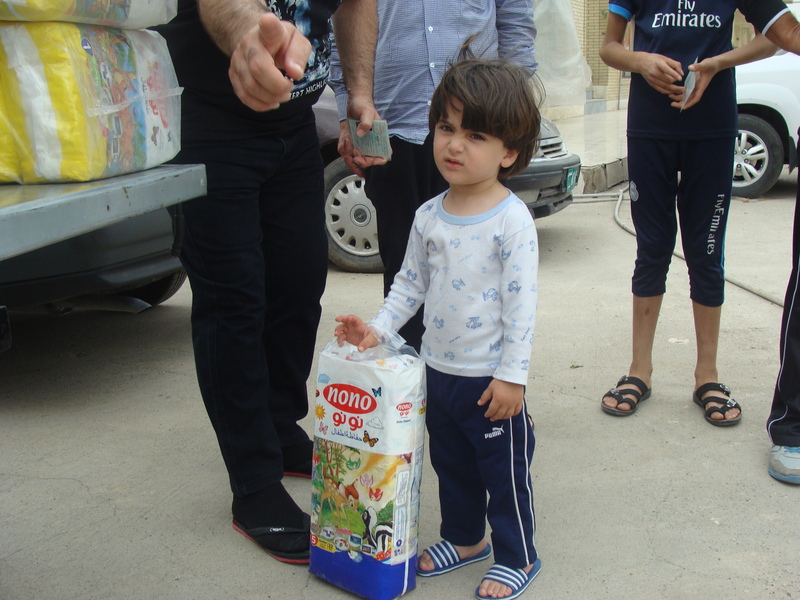 A young boy carrying some of his family’s food supply. 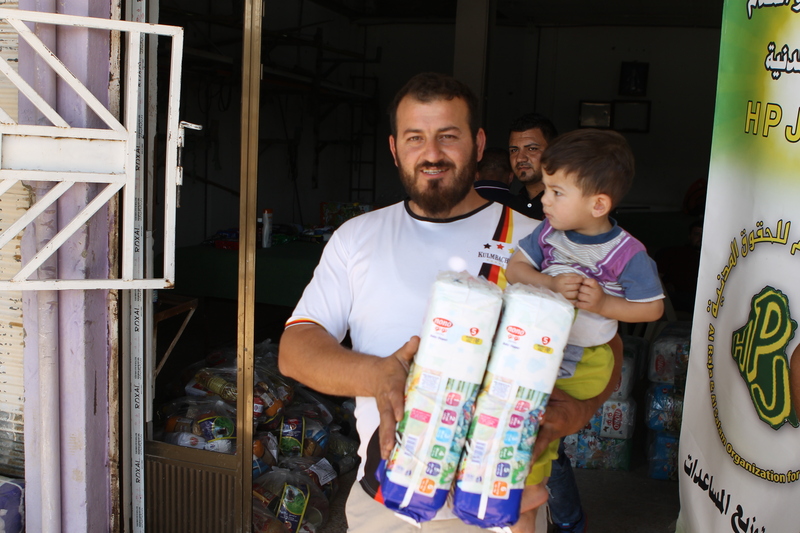 Young toddler proudly hold his diapers. 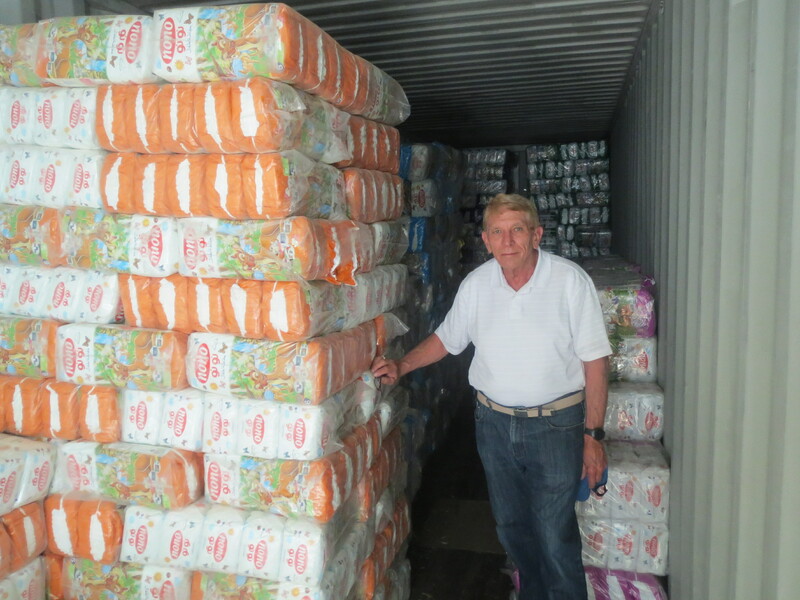 Chairman William Murray passing out diapers. 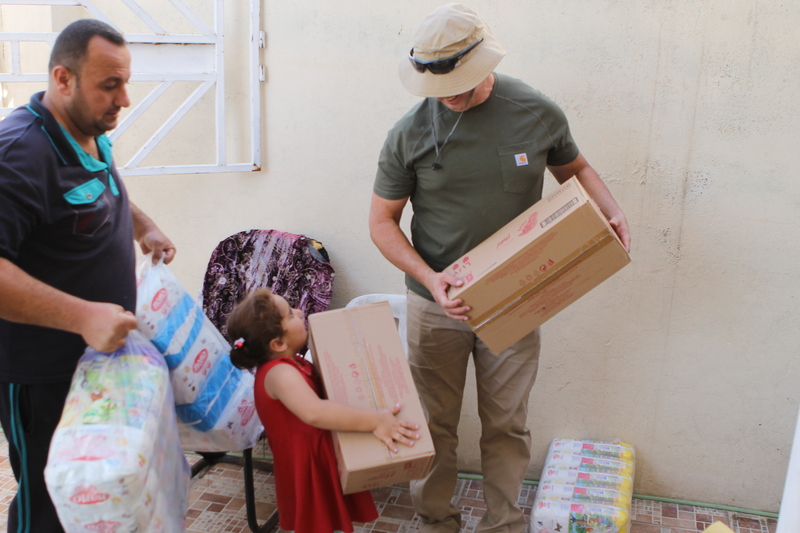 Father and son leave distribution area with their supply of diapers in hand. 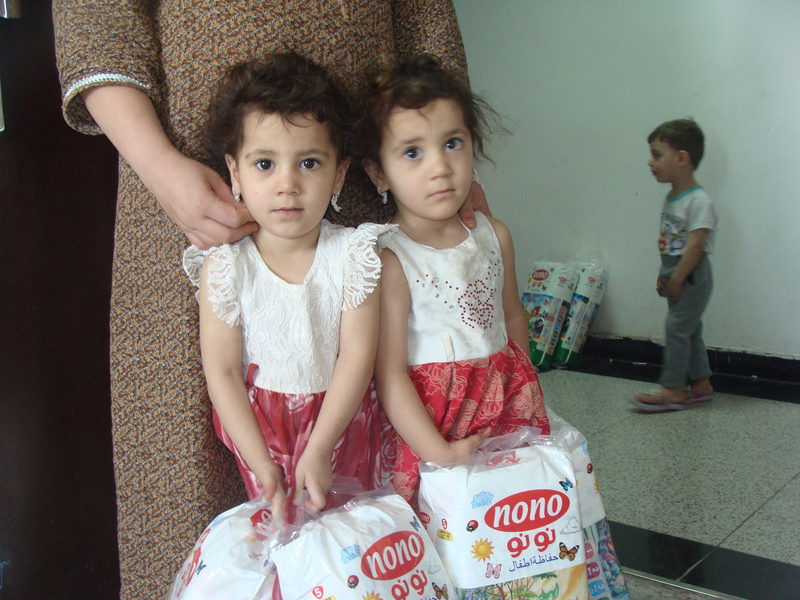 Please make a donation today so we may continue to help these children. 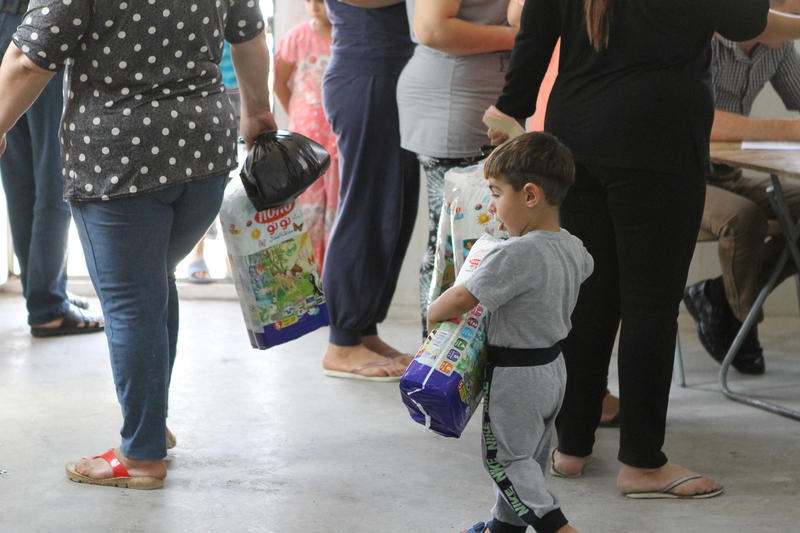 To find out more, visit www.RefugeeDiaperHelp.org.